‘Do not undervalue the headache. While it is at its sharpest it seems a bad investment; but when relief begins, the unexpired remainder is worth $4 a minute’. If I can show you a way of relieving your pain, of having a good night’s sleep without tossing and turning, aching and hurting all night long, would you be interested? As you know, until recently, when you wanted pain relief for strong pain, you had to go to the Doctor and get a prescription for a codeine or opiate based medication. Or, you’d have spent a lot of time, effort and money doing the rounds of different natural therapies, getting a small amount of relief from each one. Now, if you agree with me then what I’m about to tell you will completely change how you feel about pain relief. What changes will you make in your life once you are pain free? Whether you’re suffering from chronic pain, sharp pain, muscle stiffness or headaches FGXpress PowerStrips can help you get your life back and live pain free. Once you’ve decided to trial the pain strips you will have to work out which pain to tackle first. Knees, back, neck – where do you feel the most pain or need the most flexibility? Now it’s so easy to enjoy your life again and participate in it fully. I am here to help you go through the process of trialing, ordering or joining up with FDXpress PowerStrips™. I tried the pain strips myself because I was going to write an article/testimonial about them as part of a job. Of course, the distributor wanted me to trial them so that I knew what I was talking about and could be perfectly honest. I suffer from Fibromyalgia and arthritis – so I was certainly a good candidate! I was really surprised at how quickly they worked with me. I had chronic pain in my neck and the day I received the patches I was actually suffering from neck spasms. I had already taken every strong pain killer I was allowed and had another 2 hours before I could take the next lot. Guess what? I didn’t need to. Within an hour the pain had slipped away. I hadn’t even noticed it leaving my neck. The patches can be used for two days and they were happy days indeed. I could even turn my from side to side. The trial came with two pain strips and I waited until I really needed it before I used the second one. I used it for muscle spasms again – this time in my back. It was really quite painful – to the point where I could not stand up straight and I had to hang on to the furniture to move. I asked my hubby to place the patch on the sorest area of my back and I sat in the recliner to relax and watch some television. By the time the show was finished the pain had gone again. There was not even the residual pain that one gets from having back cramps. In a very short time from now you too will feel the same relief from pain. More Energy – Naturally doing more fun things. Increased Circulation – feeling warmer and even glowing! Increased Flexibility – moving joints and muscles easily. Relief from Skin Conditions – sometimes eczema and psoriasis just fade away. Better Memory – School dates, play dates, doctor’s appointments may just spring into your mind. When you browse through my FGX site and look at the testimonials and the science behind the patches you will be as AMAZED as I am. We have the ability to reach our full potential. You will also notice on the site that there is an opportunity to join the business as part of a network marketing business. This is your choice and I will never pressure you. I joined the site so that I could buy the pain strips at a heavily discounted price. After a while I had so many people asking me how they could get some that I decided to embrace the network marketing idea – so that my family and friends could also buy their patches at a wholesale price. You’ll find yourself getting excited about all the possibilities. Here you’ll find the choice to buy pain strips for your own personal use and that of your family. You will also have the opportunity to buy at a heavily discounted price. If, like me, you have been unable to work at a ‘real’ job and struggling to have a good quality of life – you might choose to become a distributor yourself. 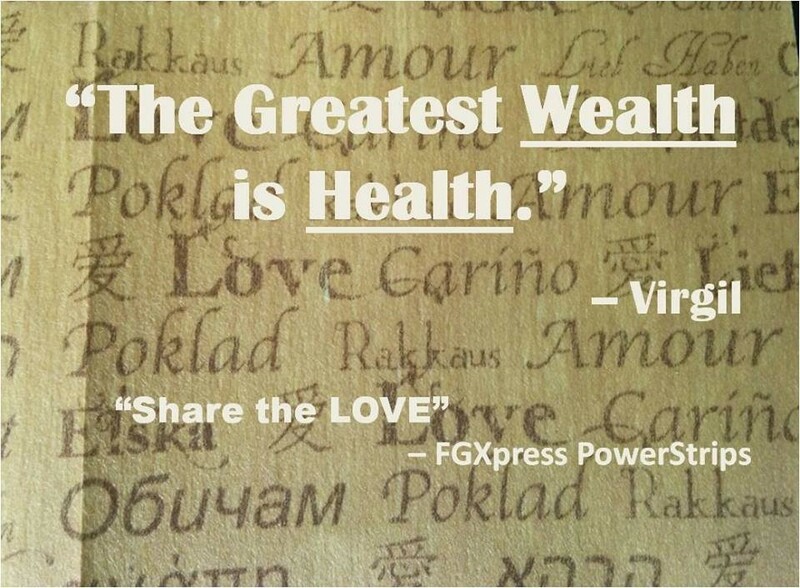 I invite you to join the thousands of people around the world who use FGXpress PowerStrips to recreate their lives. • YOU CAN CHOOSE WHETHER TO BUY AS A CUSTOMER OR SIGN UP AND BUY AS A DISTRIBUTOR. FDXpress PowerStrips are so effective that they have been listed with the American FDA as a Class 1 Medical Device. beginning to realize just how great you can feel now that you can make plans again, set dates, go on holiday and live your life to the fullest. I am so excited to help you on your journey! Think of the FGXpress PowerStrips as your personal pain relieving device – (Better than pain killing medication only natural and healthy). Power Strips also have the ability to help your body heal itself because they increase circulation and permeate deep Infra-Red Heat (the type that heals and relieves pain). FGXpress Management are a team of professionals dedicated to making Natural Power Strips that work! They also have business professionals dedicated to making their business work. They prove this by having a simple joining routine, a very cheap joining fee and plenty of support. FDXpress are also dedicated to providing a natural product that does NOT harm the environment. I am proud to say that they are also humanitarians and support Kiva – a not for profit organization that provides loans to people in third world countries to start their own business. I have supported Kiva for years and when I found out that FGXPress do as well – it was the icing on the cake. So the question now is: are you serious about getting relief from your pain? 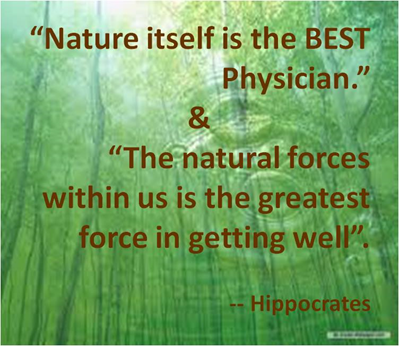 Are you serious about being one of the few people who can truly say they are experiencing Natural Pain Relief? If you answered “Yes!” Then give yourself the gift of signing up for a free trial! You can do this by sending me an email at aussiewriter63@iinet.net.au – make sure you add your contact and postage details. If you don’t want to delay – join up as a customer on the website and place an order today. Once you have decided to try the power strips you will have to work out which area to tackle first. Knees, back, neck – where do you feel the most pain or need the most flexibility? If you want to buy at a heavy discount or want to start your own business you can go that tiny step further and sign up as a distributor. It only costs $12.00 to join up – which you can recover with the discount from your first order. Look through this website. http://thenaturallyhealthyaussie.fgxpress.com/#Home Knowing that I am always here to help you.